Such creative tube boxes packaging with lots of customization options can be your ideal choice for food or gift packaging. Made of 300g SBS and 60g double chrome paper, the structure is solid while the appearance is adorable. As for such a creative box, you can use it for many purposes, and be sure that customers will be very impressed at the first glace. As for patterns, there are many options to enhance the promotional effect：Gold hot stamping for the logo, full color printing for the patterns and words, or even more options such as embossing and uv printing if you want. 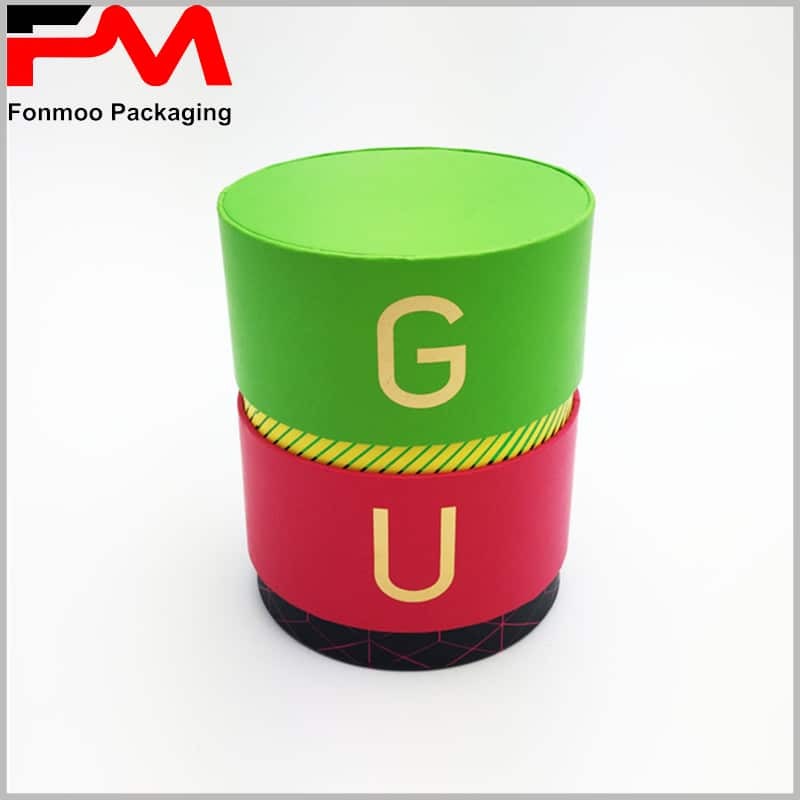 If you are impressed by such creative and lovely tube packaging box, do not hesitate to contact us, provide us details of your demand, and we will work together to get you an ideal solution. With a whole team of tube packaging experts, we always ensure you to bring you the best solution of such creative round tube cardboard box for gifts.